Hiroyasu Matsui has been featured on the Showcase for a number of years and it's been fascinating to see his work grow in complexity as time progresses. In his newest body of work, Labyrinth, Matsui continues a theme first explored in his series Untitled which drew inspiration from the myth of the Minotaur. Conceptually layered (not unlike Matsui's process), Labyrinth is a series depicting an unending city, largely featureless structures made up of edges that seem to perpetually connect to yet another edifice. Matusi's creations are based on the elaborate overlapping design of fortress cities like Shibam in Yemen and the theories of architect and Bauhaus founder Walter Gropius, but also take inspiration from myths and mathmatics. He presents a cityscape that is familar, but unlike any in existence. 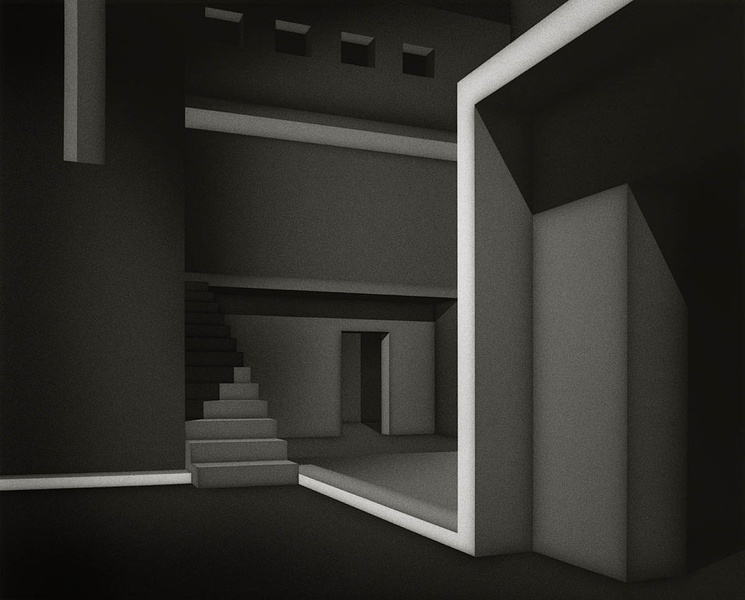 Thematic parallels to Escher can be drawn, but these images subtly depict the unreal. The dimensionality of these spaces is hard to parse, shadows fall unexpectedly and the edges of buildings do not always lead to where one would have guessed. They are cunning in their complexity. Walls and stairs continue out of the frame building a sense of impossible endlessness, yet they are also claustrophobic, complicated compostions that draw the viewer inward. Though the images show the exterior of buildings, these spaces feel as if they exist in the interior of something much larger. I am reminded of the book House of Leaves where an ominious, dark and seemingly limitless interior space provides a metaphor for the mind. These spaces too entice similar connections. A dream-like interior maze, still and lifeless though an apparent host of action or occupants -- something -- though perhaps delayed indefinitely. Masterfully articulated, Matsui's images are clearly rendered, though it may not be clear just how. 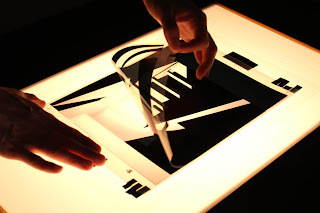 Matsui's images arise from an unusual multi-step process he calls light sculpture. 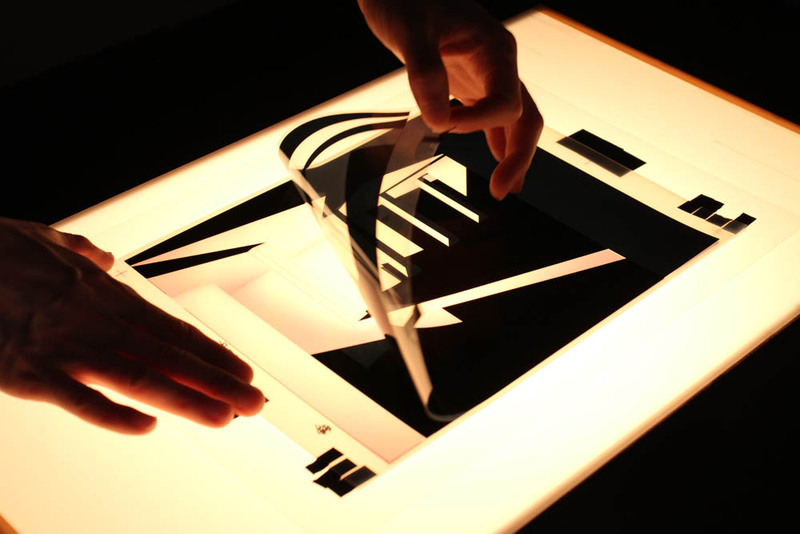 They are three dimensional forms created in two dimensions, involving a computer to plan the composition and generate multiple transparency masks which are then layered on a light box and shot with a camera. It is this technique which creates the unique look of the images -- the velvety grays and blacks, sharp lines and soft gradients, presented optimally in silver gelatin prints. View Matsui's Labyrinth, Untitled and Cubes series on the Photographer's Showcase here.